-Sublime holidays, surrounded by glorious sunshine, beautiful towns and excellent people watching. -Hidden affordable activities, restaurants and accommodation that are well worth seeking out. -Plenty of activities aside from admiring the boats! Try water sports, exploring on foot, or discovering the artistic heritage of the region. The French Riviera is one of the most celebrated and beautiful coastlines in the world, and is home to pretty, traditional towns mixed with glamorous, chic and famous cities such as Nice, St Tropez, Antibes and Cannes. There are almost endless golden sandy beaches for visitors to explore, as well as museums, galleries, beautiful architecture and restaurants serving up a range of delicious dishes. But the French Riviera isn't just for those with money to spare, there are plenty of less expensive options, with most of the smaller family run restaurants serving delicately presented and delicious options as well. 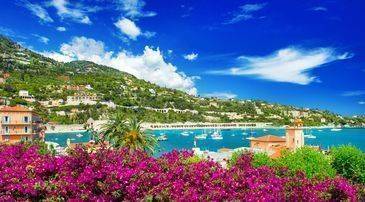 The French Riviera is filled with stunning sites and attractions, from beautiful natural surroundings to glittering towns filled with glamour. Those wanting to soak in some of the history and culture of the region will find a huge number of museums and galleries to be explored. The Villa et Jardins Ephrussi de Rothschild is a must for those wanting to admire the architecture, art and beauty of this area. Wander through the gardens and take in the sights before heading inside to admire the works of Carpaccio, Boucher, Sevres and more, among Louis XIV furniture and tasteful décor. For more incredible artworks visitors can also enjoy The Musèe National Marc Chagall in Nice and celebrate this Russian born painter, the Musèe Picasso in Antibes, the Musèe d'Art Classique de Mougins in Mougins or the Musèe Fragonard in Grasse. Families with children will enjoy a trip to the Fondation Maeght in St Paul de Vence, while the Citadelle de Saint Tropez offers stunning views and a step back in history. Those wanting to explore the coastline can hire a car, or bring their own, with Calais around a 10 hour drive away. Enjoy the many iconic towns of the area, including famous St Tropez with its beautiful pastel buildings and harbour, lively Nice with its glamorous visitors, and cosmopolitan Cannes. Smaller towns with a more traditional atmosphere include colourful Beaulieu sur Mer, stony Ber with its winding streets and many small local galleries and La Turbie which overlooks Monaco and is home to fascinating historic buildings. Summer France offers guests accommodation in the stunning town of Èze which dates back to the 13th Century and is full of artisan products. Alternatively, our Residence le Galoubet is in winding Sollies Toucas, which offers beautiful landscapes and delicious dining. One of the main attractions of a holiday in the French Riviera is its golden beaches. Ranging from glamorous hotspots where people go to be seen, to secluded bays ideal for exploring or simply spending the day relaxing, and everything in between, this is the ideal place to enjoy French beaches. Paloma Beach is a small town with crystal clear seas and a luxury atmosphere, while the Plage de l'Almanarre offers stronger winds, ideal for sailors, windsurfers and kite surfers. For a touch of glamour Saint Tropez is the place to go, while the island of Porquerolles can be reached by boat and offers secluded bliss, with a pretty horseshoe bay. For activities in the French Riviera, visitors will find much revolves around the beautiful natural surroundings of the area. Coastal walks and hikes will take you through the pretty pine areas, along sandy beaches and over the cliffs, or guests can head further inland for towns perched on top of hills, lush scenery, pretty vineyards, crumbling chateaux and poppy fields. Cycling is another fantastic way to see the area, and bicycle hire is available from most of the towns and cities in the French Riviera. For urban exploring there are plenty of shops, restaurants and cafés to be enjoyed, with boutiques selling unique items, and some designer chains dotted throughout the region. Monte Carlo is located just over the border with France and is ideal for those in search of even more glamorous towns. Admire the cars and clothes of the rich and famous, before dining in one of many incredible restaurants. The harbour is filled with yachts and motorboats, and is the ideal place for people watching. There are also plenty of festivals to enjoy on a holiday in the French Riviera, including the iconic Cannes Film Festival, which runs in May and celebrates some of the best works from around the world. Nice Carnival is hosted by the city in February and features colourful displays, huge puppets and glittering attractions. The French Riviera is known for its fine cuisine, with its traditional towns and villages steeped in history and serving up rustic French dishes passed down from generations, while the cosmopolitan cities of Cannes, St Tropez, Nice and more offer an eclectic combination of modern tastes. Many of the more traditional dishes revolve around the fresh locally-produced ingredients, with fresh vegetables, meats and cheeses on offer. Rich ratatouille is a favourite in the area, as well as salty tapenade. Bouillabaisse is another classic, and is made using four types of fresh fish, usually sourced from the local area. Some of the best restaurants in the area can be found tucked away in small villages along the coastline, as well as in the bustling cities of the French Riviera. Two of the best restaurants in Nice are Jan, which serves contemporary French cuisine with beautiful presentation and an explosion of flavours, and Melodynice which serves perfectly cooked steaks accompanied by crisp frites, fresh salads and delicious, crumbling pastries. La Provençal is located in Frejus and serves up creamy soups and fresh flavours, while Restaurant du Smash Club is in Cavaliere and has incredible homemade pastries, fresh fish and succulent meats. The nightlife in the French Riviera is glamorous and can last long into the night. Pam Pam in Juan les Pins serves up delicious cocktails with crazy live music, while Puzzle Bar in Nice is the place for some of the best mixologists in Europe. For the most glamorous nights and days, Nikki Beach is in Ramatuelle and offers a pretty poolside area, close proximity to the clear waters of the sea, and a price tag to match. For a unique experience, the Absinthe Bar in Antibes is a must, while Jam in Nice is a friendly down to earth bar. There are plenty of childcare and nanny services along the French Riviera, with first class childcare with a price tag to match. The best companies to use are Principality Nannies, ABC Families and Au Pair Azur, while most hotels will also offer kids' clubs and babysitting facilities. Nice has a park and ride scheme for those wanting to keep costs lower, with Eu2 for return transport to the city. Alternatively, there is also parking in the city but this can be expensive. Most of the parking spaces are free in the evenings and over the weekend, although parking can be more of a problem in larger cities. 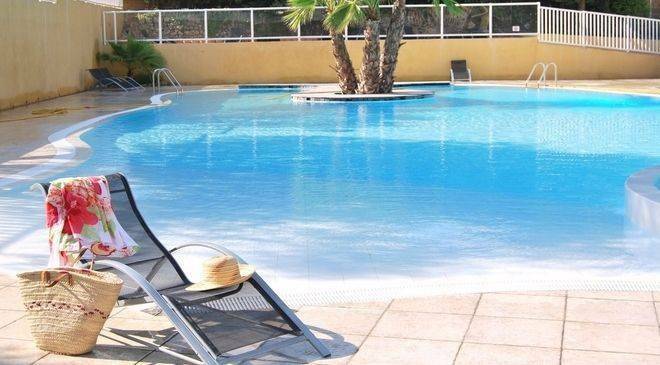 Both of the Summer France properties offer guests free parking facilities.